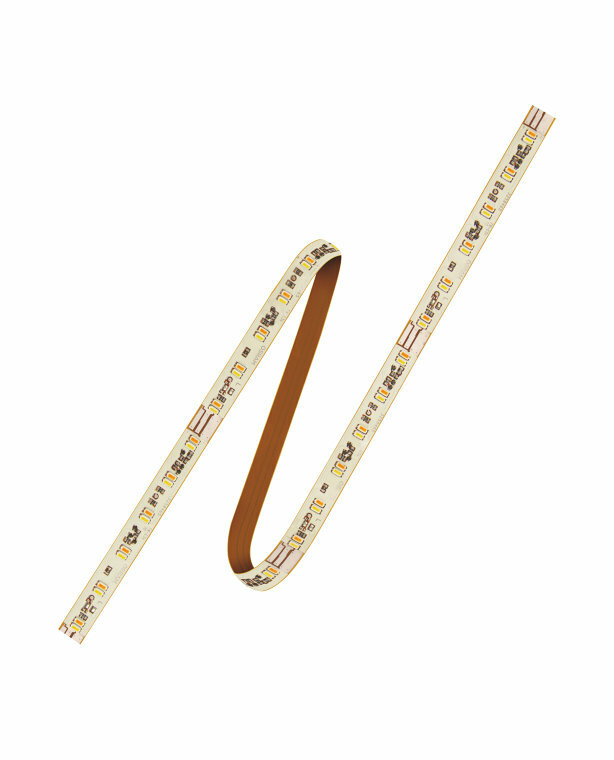 LINEARlight FLEX Tunable White is designed to very high specifications, with professional lighting needs in mind  you can make any space remarkable with this flexible, cuttable strip of LEDs, tunable between 2,700 K and 6,500 K white, and dimmable with PWM technology. Ideal for architectural lighting, object integration and signage, LINEARlight FLEX Tunable White is supplied with a self-adhesive strip on the reverse for very straightforward mounting. Each meter contains 160 LED modules and uses 24 V technology for easy dimensioning; it is great as part of a system solution with OPTOTRONIC electronic control gears and many other accessories. Exceeding the maximum ratings will reduce expected life time or destroy the LED strip. Divisibility of the module in 75.0 mm sections. Possibility of operation of 75.0 mm at a feed point of the module. Max. dimensions of the LED module (width x height) 8.0 mm x 1.45 mm.